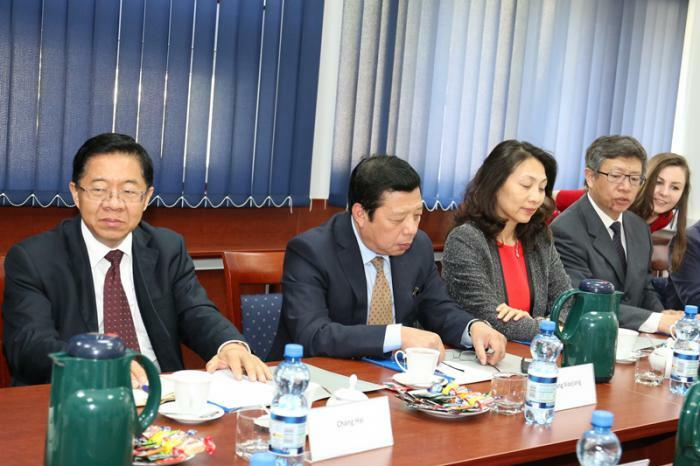 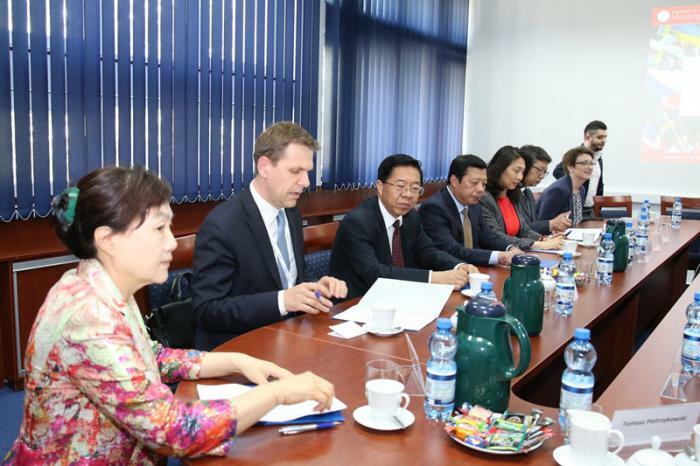 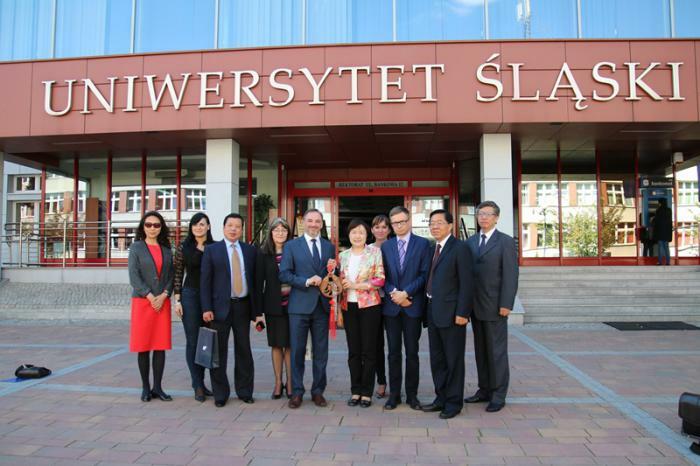 On 11th May 2017 the delegation of the Liaoning Province of People’s Republic of China visited the Rectorate of the University of Silesia in Katowice. 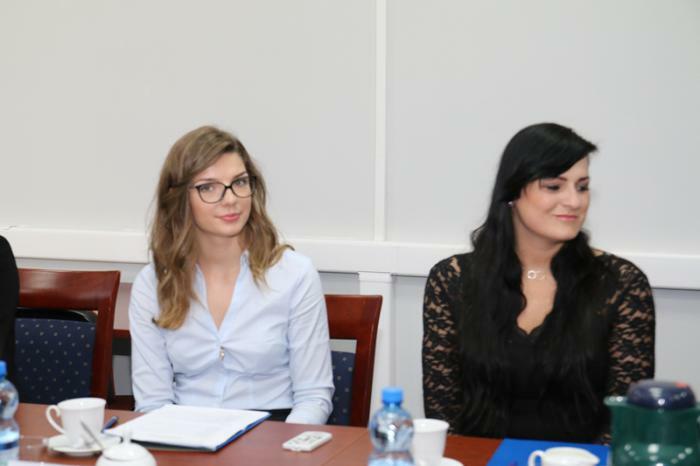 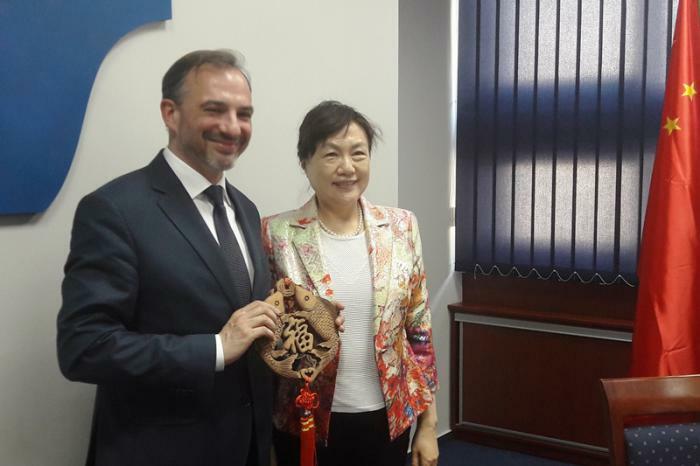 The meeting was an opportunity to expose the activities of the University of Silesia, especially teaching of Chinese language and culture. 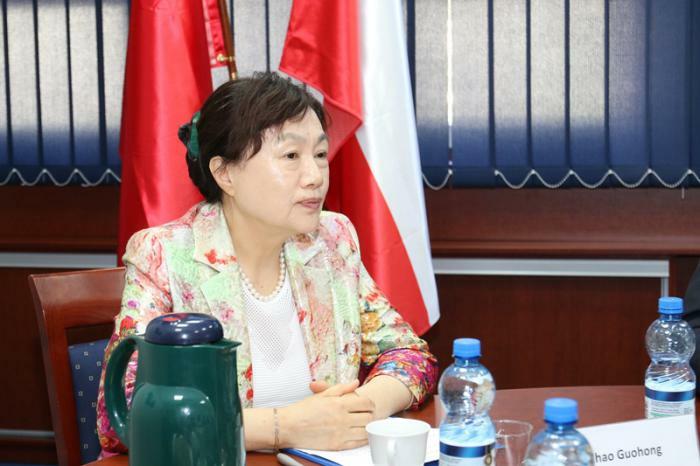 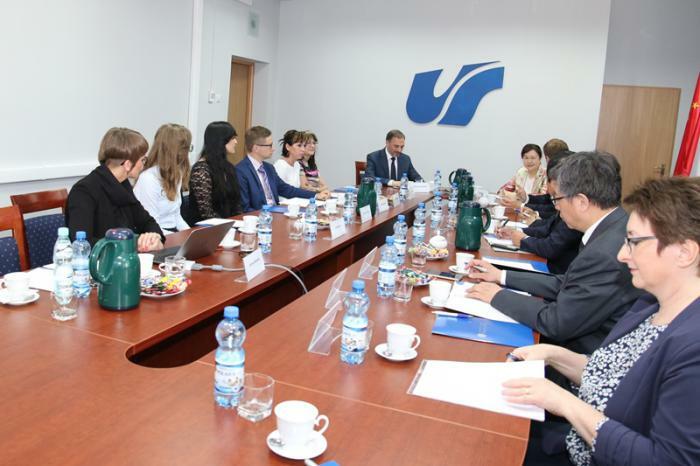 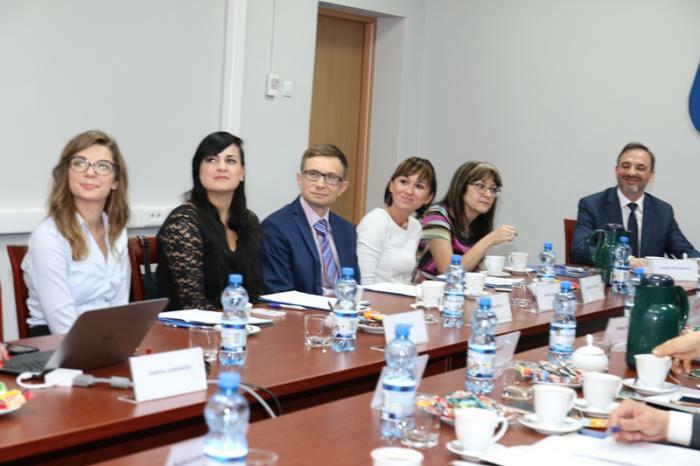 ... and Sino-Polish University Consortium, which gathers 23 universities from Poland and China, among others the University of Silesia in Katowice. 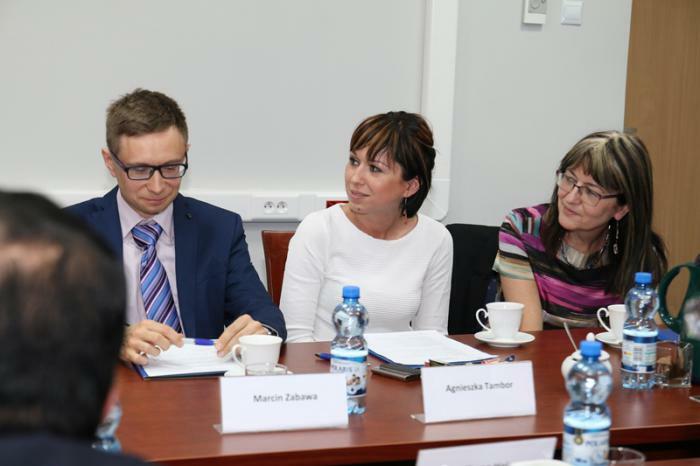 Joanna Laskowska – Head of the International Students Admissions Office, Department of International Relations. 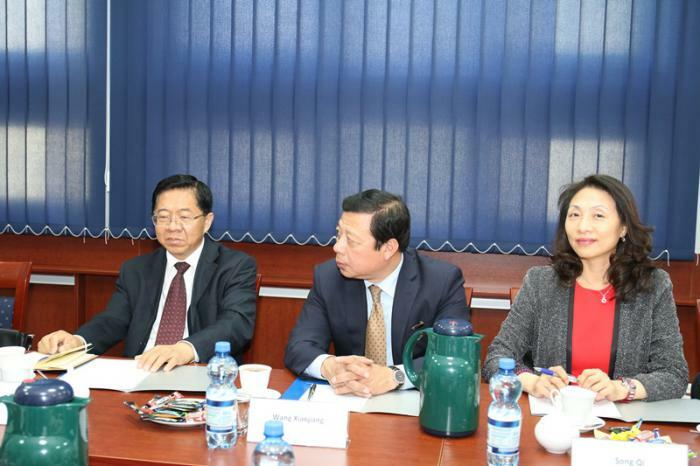 The aim of the meeting was to foster the cooperation of the Liaoning province and dialogue on joint promotional and cultural enterprises. 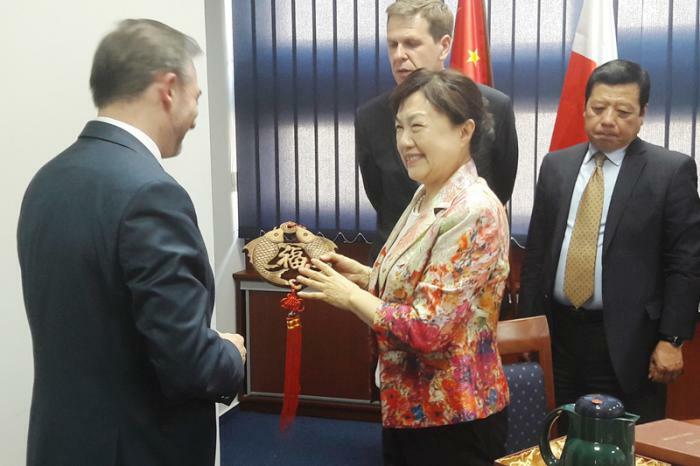 To comemorize the event Ms Zhao Guohong presented Prof. Tomasz Pietrzykowski a sculpture.